Want to be notified of new releases in wearenocomputer/ofxNCKinect? 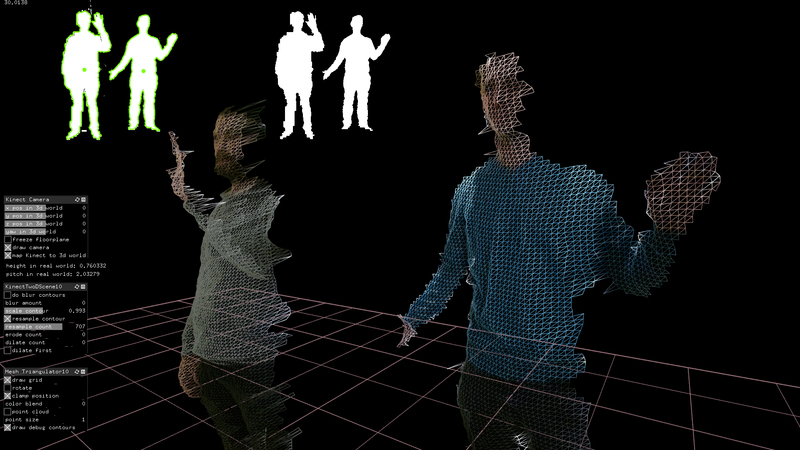 After we heard the news Microsoft is reviving the Kinect we decided to upload our openFrameworks KinectV2 library. It is no way an official API, so use it at your own risk. This code only works on Windows 10/64 bit systems. 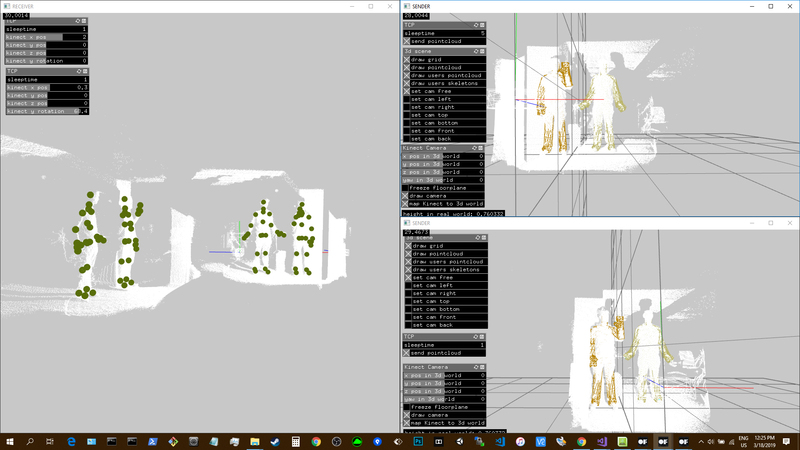 To compile the examples use the openFrameworks project generator and the Kinect64.props file to set the paths to the Kinect SDK. Build for 64 bit. 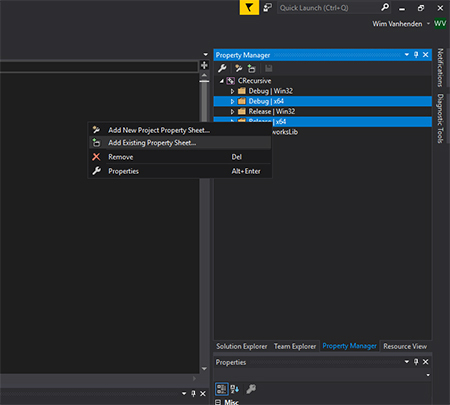 Use the Property Manager in Visual Studio to add the Kinect64.props file. Love to the openFrameworks community! 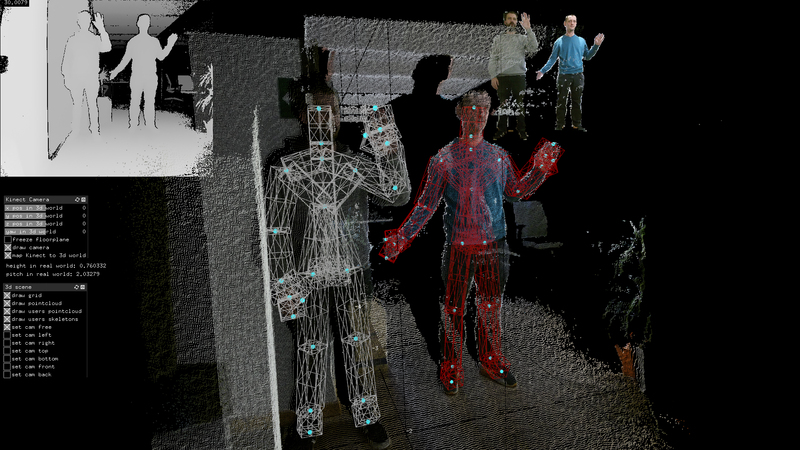 This is a basic example combining color, 2d and 3d Kinect data. Using custom trained gestures. This example loads in a gbd file, in this case trained for the famous Crane Karate Kid Kick, and shows how to handle incoming data. You can use multiple senders to send Kinect data over the network to the Kinect Receiver. Example on how to create a mesh from user point cloud data in real time.